LOS ANGELES – TeleFutura’s “Sólo Boxeo” returns to sunny Southern California on Friday, August 13 and its packing the young guns, as promising up and comers Eloy Perez and Carlos Molina take on stern tests in featured bouts at the Pico Rivera Sports Arena in Pico Rivera, California. In the main event, unbeaten Eloy Perez battles veteran Derrick Campos in an eight round junior lightweight bout and in the co-feature, Carlos Molina risks his perfect pro record against Glenn Gonzales in an eight round junior welterweight battle. 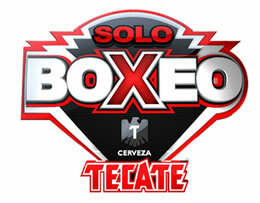 This hard-hitting night of professional boxing is presented by Golden Boy Promotions and sponsored by Cerveza Tecate. Doors open at 6:00pm PT, the first bell rings at 7:00pm PT and the TeleFutura broadcast begins at 11:30pm ET / PT (10:30pm CT). Tickets, priced at $20 and $40, are on sale now at all Ticketmaster outlets, the Pico Rivera Sports Arena Box Office, Warehouse Shoe Sale and by calling 800-745-3000 or 562-695-0747. Tickets may also be purchased online at www.elpicorivera.com or www.ticketmaster.com. 2010 has been the coming out party for talented junior lightweight Eloy Perez (17-0, 4 KO’s), as the Washington state native, who now resides in Salinas, California has turned back the challenges of “Dangerous” David Rodela and Gilberto Sanchez Leon thus far this year. On August 13, the current NABO and WBC USNBC champion looks to keep the momentum going against veteran Derrick Campos. Always tough Topeka, Kansas native Derrick Campos (20-8, 11 KO’s) is no stranger to facing hot prospects and nothing makes him happier than having the chance to pin a loss on a perfect record. Winner of three of his last five bouts, the 29-year-old expects to play the spoiler against Perez next month. Norwalk, California’s Carlos Molina (12-0, 6 KO’s) has been steadily moving through the junior welterweight minefield since he turned professional in 2007 and this year has already seen him turn back Tyler Ziolowski (TKO1), Hensley Strachan (W4) and Humberto Tapia (W8). Back in action on August 13, Molina’s hectic schedule continues, but that’s just the way he likes it. 25-year-old southpaw Glenn Gonzales (7-1, 4 KO’s) lives up to his nickname “Rapid Fire” thanks to the quick combinations that can do damage in a hurry to any opponent. Winner of six of his last seven fights, this Filipino dynamo can’t wait to get into the ring this August against Molina. www.goldenboypromotions.com, on Twitter at www.twitter.com/GoldenBoyBoxing or on Facebook at www.facebook.com/GoldenBoyBoxing.